The quintessential elements of life are - Earth, Water, Sky, Fire, Air. Now here's the sixth element. 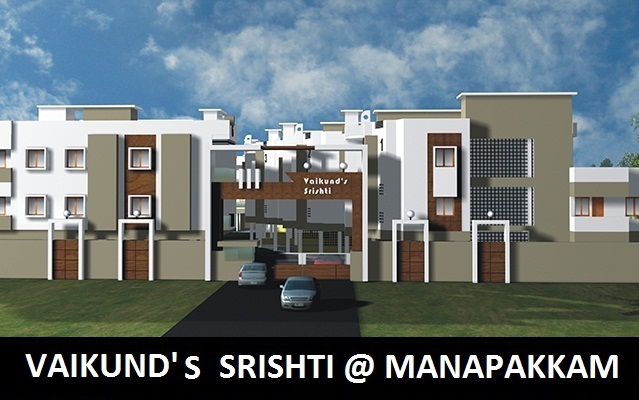 It is SRISHTI, a home by Vaikund Estates that blends every element of nature to nurture a life of quality living. A residential condominiums arising on the lap of mother Earth on the banks of the Adyar River at Manapakkam. SRISHTI fulfills your burning desire within to live a lifestyle loaded with earthly pleasures with an air of pride around you. 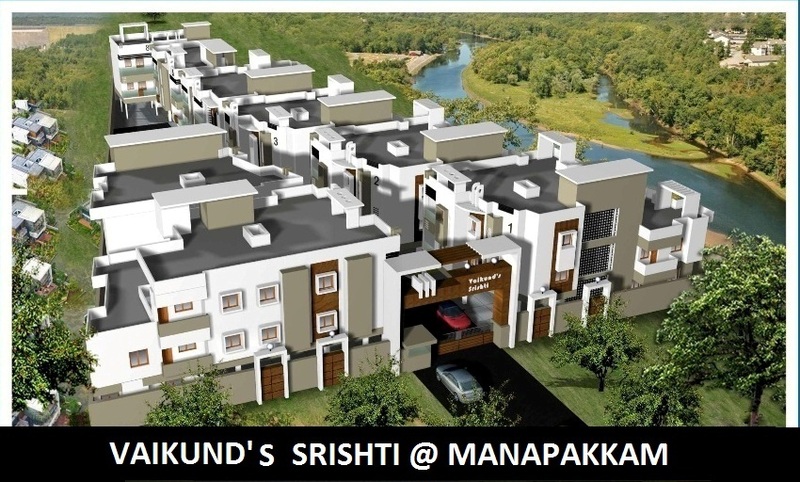 Vaikund's Srishti is a river side development of 32 exclusive Condominiums at Manapakkam, just 2 minutes from Mount Poonamalle Road, before Sri Ramachandra Mission Ashram. Enjoy the uninterrupted view of the Adyar river sitting in your exclusive private terrace where the meandering river brings you the breeze through the day. Built over 8 blocks, Vaikund's Srishti boasts of condominiums ranging from 800 sq.ft to 2738 sq.ft with an option of a single house in a floor.